Alston, NCD, Jul 27 – Sirocco has officially put forward a claim to Micras territory as it seeks to gain a foothold in the internet-based community. This evening Alston put forward a claim to land on the fictional planet of Micras, which is run by the Micronational Cartographic Society, located towards the northern area of the planet. 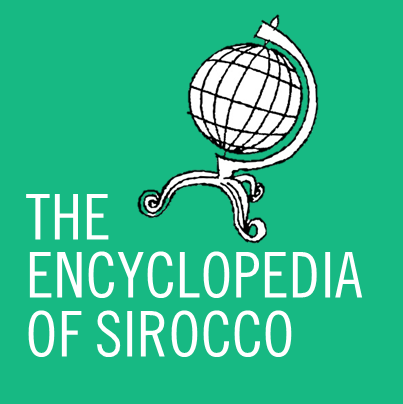 The move comes as Sirocco begins intensifying its presence in the community, and it is hoped the Weymouth claim will enable Sirocco to enter the highly-influential Micras community, of which A1, Tiana, Yabloko and Zealandia are members. If accepted, Weymouth will become Sirocco’s seventh province, alongside the National Capital District, Jellicoe, Trafalgar, Bolton, Falkirk and Denbigh. Due to it not being physical land, it is not subject to the six-month period by which new provinces must act as territories, however this legislation is under review and might be scrapped. 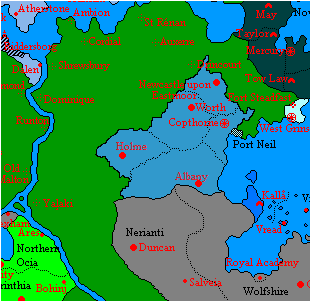 Already the claim has been reduced, having been shortened from the nation of Mercury (upper-right of picture) in the north and from the Yalaki (lower-left) region in the south to allow for Mercurian territorial expansion. Premier Daniel Anderson has allowed for further claim shrinkages in the southwest, however he has stated he will not abandon his claim over Copthorne, Worth and Newcastle-upon-Eastmoor. Funny that both the real life Copthorne and real life Worth are near Crawley. (The real life Worth is actually in Crawley).